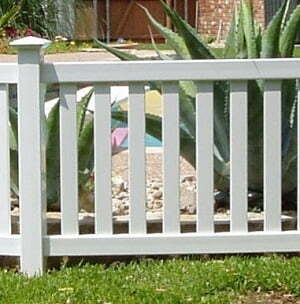 A PICKET FENCE is a fence composed of individual pickets that are spaced a certain length apart. 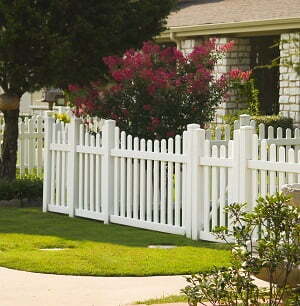 Picket spacing and fence height are options that are generally configurable for picket fences. 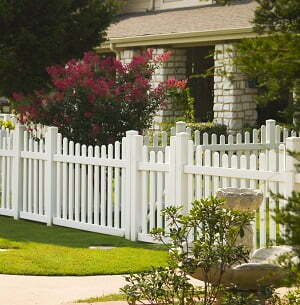 At Future Outdoors, we offer many different configurations of picket fences to suit your home and landscaping needs. Future Outdoors has installed picket fences of all shapes, sizes and designs all over north Texas and the surrounding areas. 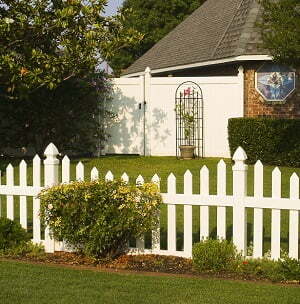 Picket fences are not limited to just white. 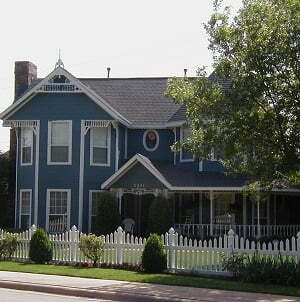 We also install TAN, KHAKI, and our newest color CHESTNUT BROWN. Our installers are specially trained to provide the highest level of expert installation available in the industry today. We pride ourselves in training our crews with the most up-to-date, cutting edge installation techniques to ensure customer satisfaction and longevity of product. 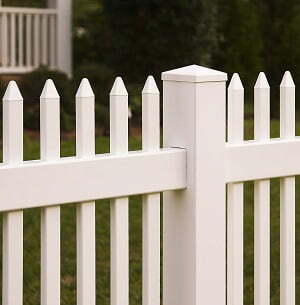 That’s why we stand behind the installation and craftsmanship of every picket fence we sell.